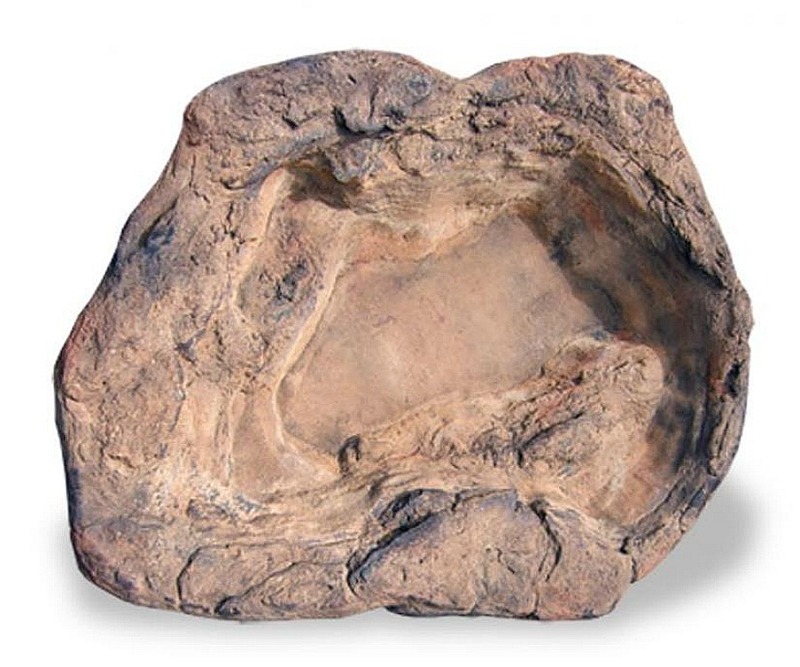 One of the most awesome advantages of artificial rocks is being able to create large water features that are both user friendly and maintenance easy of the alternative of real rocks. Just maybe a waterfalls with real rocks is better enjoyed with a pair of hiking boots, walking stick and a backpack. 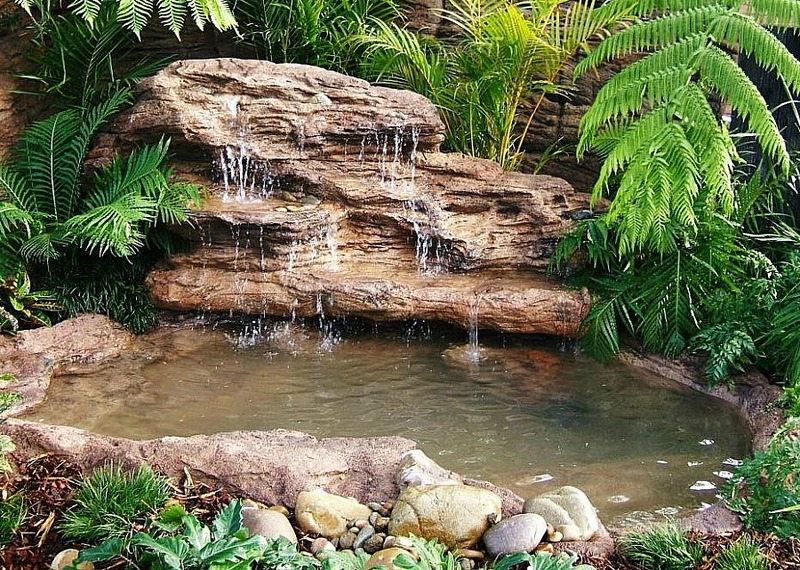 Here at Everything Waterfalls, we encourage you to hike and explore the many cool backyard ponds and rock waterfall designs we have for you to create your own unique water garden. Our largest pond and waterfalls complete kit is the very impressive Majestic Falls. Our large rock pond LP-003 is 26.5" deep while holding up to 240 gallons of water making this an excellent Koi pond. This prefab rock pond does require a good amount of dirt removal "digging" for pond placement. Our beautiful backyard garden waterfalls LEW-002 is the largest waterfalls that's offered in a complete kit and stands about 35" which includes a 4" edge for a decorative finish. What makes our decorative ponds & waterfalls for the garden & backyard so incredibly spectacular? 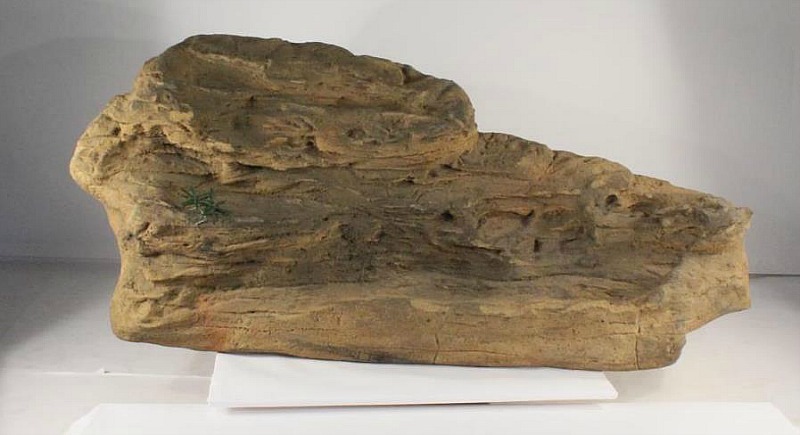 Our phenomenal landscape waterfalls are castings from real rock formations showing off nature's sensational beauty and exceptional rock detail from many many years of climate weathering and erosion sculpting. These pond waterfalls are fabricated from a combination of polymers with superb properties and characteristics for the ultimate outdoor water garden. Finally our breathtaking waterfalls can make your waterfall dreams turn into reality for your very own specialized water garden oasis. Also an excellent backyard feature for entertaining & family gatherings while excellent for meditation & yoga for soothing and peaceful sounds of a beautiful waterfalls.